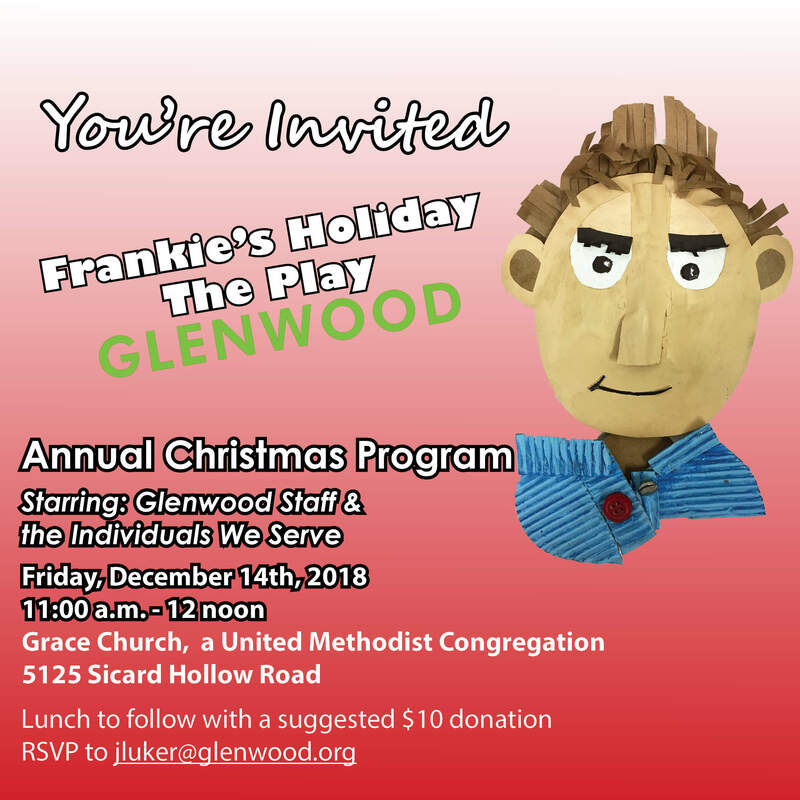 Christmas Program Coming Up | Glenwood, Inc. The Glenwood annual Christmas Program is coming up and you’re invited. This is a beloved event for the staff and individuals served by Glenwood. Each year, they put on a creative performance that can’t be beat for holiday spirit. This is not your mother’s Christmas program! The event will be Friday, December 14th at Grace, a United Methodist Congregation (formerly Liberty Crossings United Methodist). The program will begin at 11:00 am with a boxed lunch to follow. Please let us know if you plan to attend and we will order a lunch for you. A $10 donation is requested to cover the cost of lunch. You can RSVP to jluker@glenwood.org.